I am super excited to share with you a new chapter in the Kitchen Counter Chronicles story. 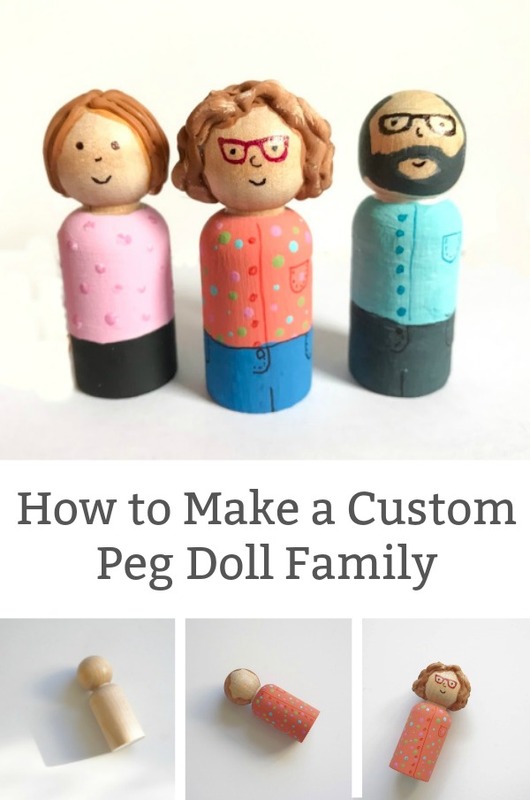 This chapter begins with my super cute personalized peg person craft of me and my family. You might not be aware of this, but different readers visit this site for different reasons. Some of you landed here looking for simple family recipes, or creative crafts. Perhaps you arrived due to our gardening tips, parenting tips or learning activities for kids. We have a lot going on over here…phew! 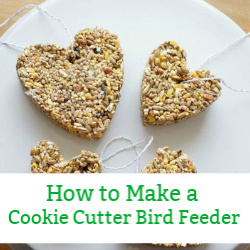 On our Instagram page most people are loving the recipes and gardening ideas I share. 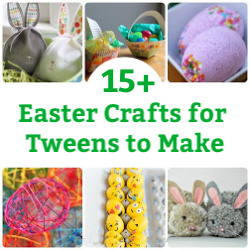 While my kids crafts and activities are super popular here on the site. So, I was faced with a challenge. How do I connect with all of my readers on social media and reach new people? I pushed myself and decided to launch a new branch of the Kitchen Counter Chronicles brand…welcome, Craft Room Chronicle. Craft Room Chronicle will exist on Instagram (and eventually Facebook) for now. 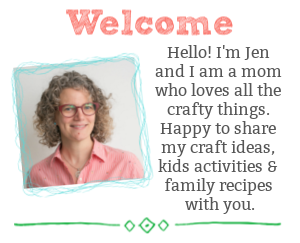 I’ll be sharing all of our awesome crafts, DIYs and activities in this new dedicated space. I’m pretty sure it’s going to be fun! 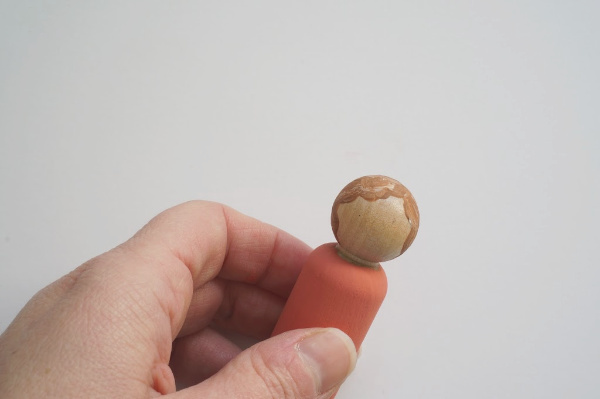 I started by painting the head of the peg person with a coat of clear sealant. My friend shared this tip with me and it is amazing. 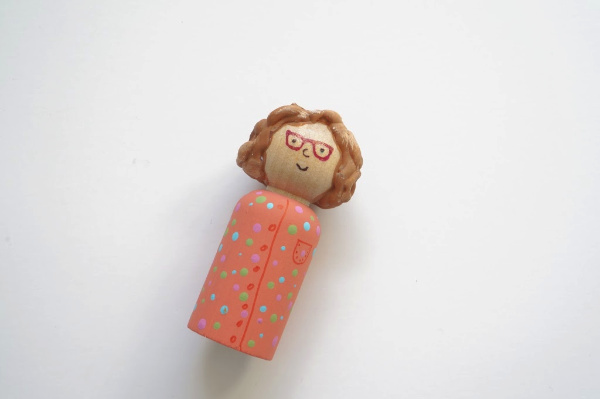 The sealant means that you can use markers on the doll heads, without the marker bleeding and making a mess. 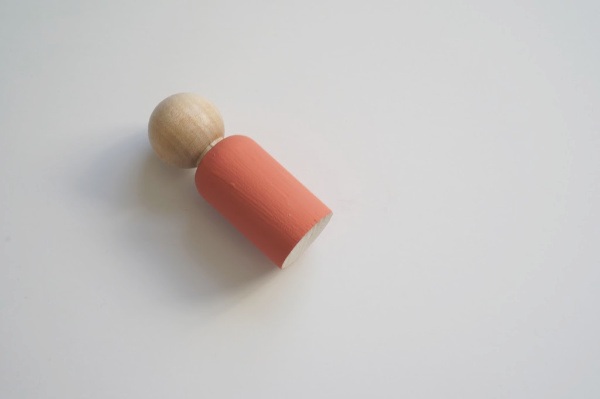 Don’t skip this step if you plan on using markers for the finer facial features on your doll. You need to do a little prep work for this project. While the head is drying, find a picture that you want to work from. In my case, I used the Instagram image. 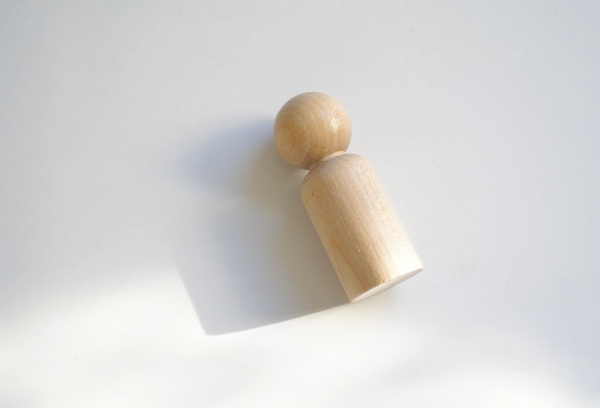 Find a picture you love or sketch out what you want the doll to look like. Once the doll head is dry, it is time to put the first coat of paint on the clothing. My top has polka dots over a solid base colour. So, I painted the solid colour first. Then it was time to work on the hair. I began by drawing the hairline. For my doll, I used a combination of brown and white…can’t forget the grey hair. Let the paint dry. Once the hair was dry was time to work on the face and finish the shirt. Through a series of experiments, I found that glasses look best without arms. Be sure to draw dots for the eyes with pencil before using the permanent marker. Simple faces tend to work the best. A simple smile, a little nose. Done. For the shirt I added a multi-coloured polka dot pattern. I also used a coordinating permanent marker to add the pocket and button details. 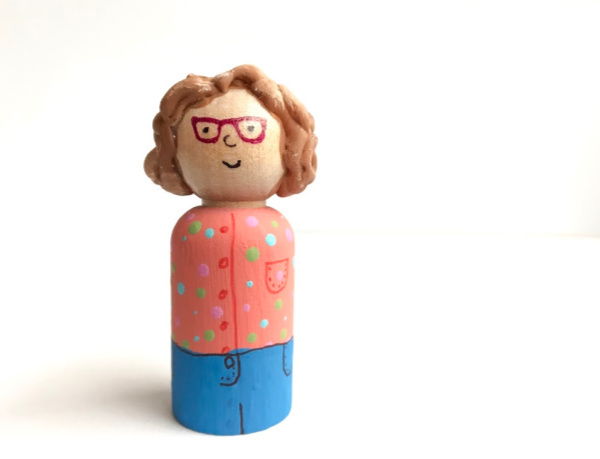 When I had the face drawn and the hair painted, I decided that there was something not quite right about my peg doll. My hair is key part of who I am…I have frizzy, curly hair. The flat hair painted on the head wasn’t working for me. 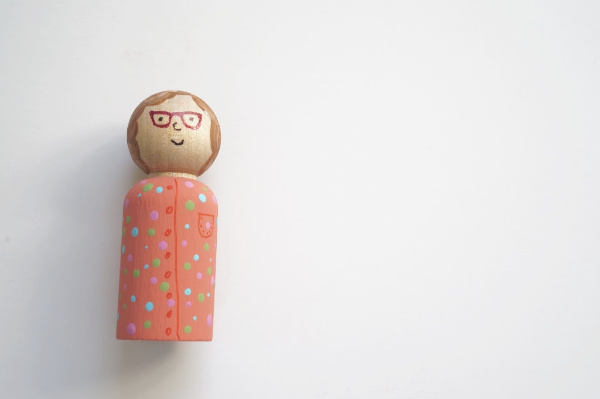 It might work perfectly fine for you and your doll. I decided I needed something more 3 dimensional. So, I used the glue gun to create the hair. For curly hair, squiggle the glue all over the hair that is painted on the head, use the hairline as the guide. For straight hair, experiment with gluing long strands of glue to the head (see my daughter’s peg doll). When the glue dried, I painted the glue hair. Once the hair was dried, it was time to return to the clothing. My kids thought that my doll needed pants. So, I added a pair of blue jeans. I have to say it did complete the look. 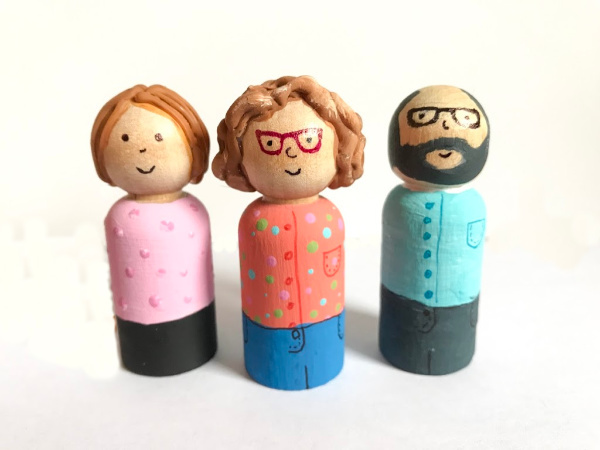 Now, that my peg Jen was made I set out to make the rest of my family. For my husband’s peg doll I followed the same steps. For his beard, I attempted to make a 3D beard – it didn’t work. It looked kinda weird. So, I stuck with flat paint…so much better. He is wearing a favourite shirt and dark jeans. My eldest daughter’s peg person was an experiment in straight hair. Again, I used the glue gun. This time I kept the glue as straight as possible. 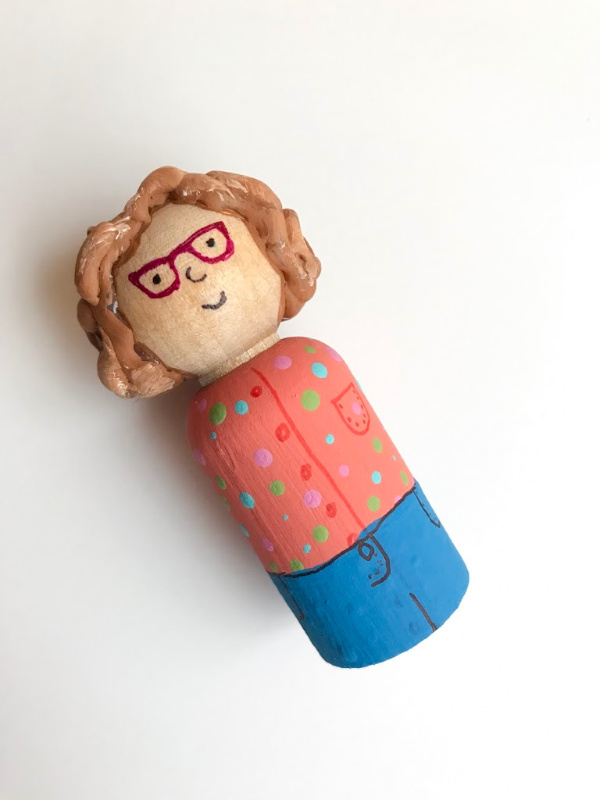 My youngest daughter wanted to make her own peg doll. She is still working on hers…she takes a lot of time to work on projects. Which is fine (one of the side effects of being a perfectionist). As a parent it is important to respect our kid’s needs. The doll will be done, she just needs a little more time. No worries. Do you have a particular signature feature? Be sure to emphasize the details that make you who you are. Play up your best features and have fun. 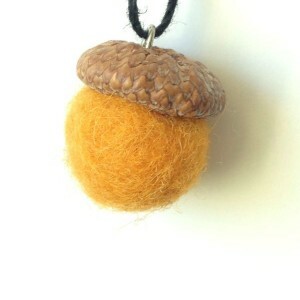 Make your own felt acorns and turn them into beautiful nature inspired jewelry. 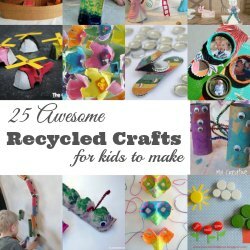 Find all sorts of ways to play with recyclables with this collection of eco-craft ideas.